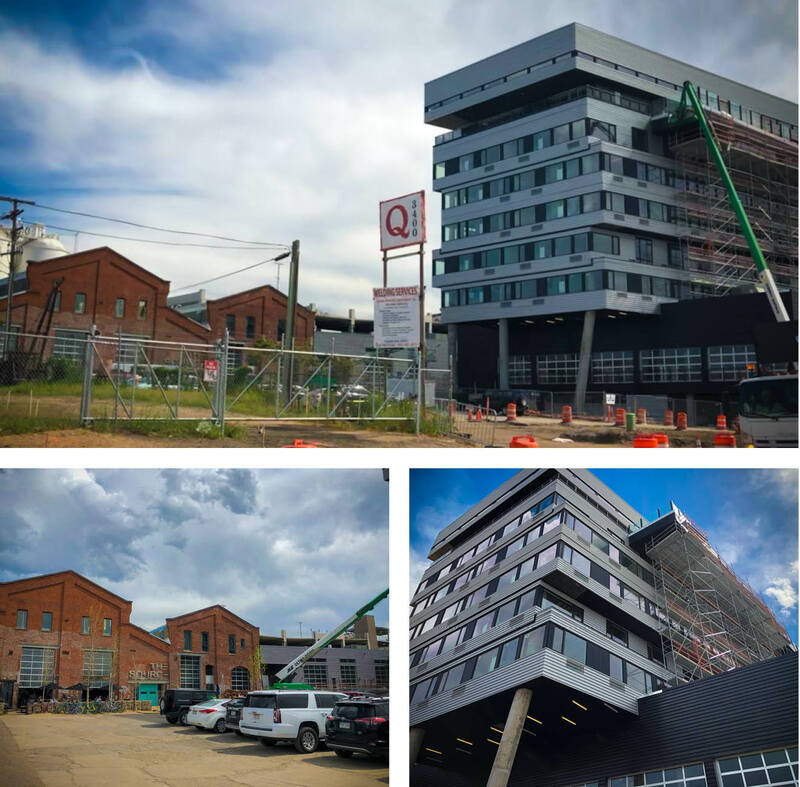 Since 1972, father and son team Mickey and Kyle Zeppelin have been redeveloping properties in former industrial areas of Denver and turning them into mixed-use residential, office and commercial spaces. Their projects have transformed parts of Lower Downtown, the Golden Triangle neighborhood, and, most recently, River North (RiNo). It seems this Denver-native duo and their small team are always up to something interesting, so we thought we’d bring you up to speed on their pursuits and how they are making Denver real estate news headlines. At 3330 Brighton Boulevard in RiNo, you’ll find the Scandinavian- and Japanese-inspired Source Hotel, opening this May. High ceilings, polished concrete floors, birch furniture and ample natural light grace each of the hotel’s 100 rooms, whether you choose two queen beds or a mountain view suite with a soaking tub. Watch New Belgium Brewery produce beer in its facility just off the lobby; take a dip in the hot and cold plunging pools on the rooftop; and get around town with the hotel’s complimentary shuttle service that connects to Denver’s light rail. Next door, Zeppelin has transformed the former Colorado Iron Works plant into a market hall that showcases food and drink from 25 artisanal producers. Behind the teal doors and beneath the modern silver lettering, you’ll find vendors selling cheese platters, street tacos, sour beers, butchered meats, clever cocktails, and more in this industrial brick building with an exposed-beam interior. Flight, which opened in mid-April at 3575 Ringsby Court on the former Ready Mixed Concrete property, features 35 private, fully furnished office suites of 600 to 1,400 square feet each on the building’s top two floors plus 30,000 additional square feet of customizable space. Ceilings are 14 feet high and furniture is designed by Herman Miller and Opendesk, a maker of locally built, customizable, sit-to-stand workstations. Fresh air, natural light, green roofs and landscaped terraces help integrate the outdoors into the workplace. Shared kitchen and lounge spaces create an environment where workers from different office spaces can get to know one another. Other amenities include a pool and cinema, fitness and steam room, salon and café, rec room, and restaurant. Flight represents the ninth phase of the TAXI redevelopment along the South Platte River in RiNo. The project’s first phase was 25,000 square feet of creative business work space, completed in January 2007 in the former Yellow Cab dispatch center and corporate headquarters. The mixed-use office and residential Taxi II space followed suit a year later. As a whole, TAXI is a mixed-use development with more than 80 creative businesses. Kyle Zeppelin is a longtime TAXI resident. 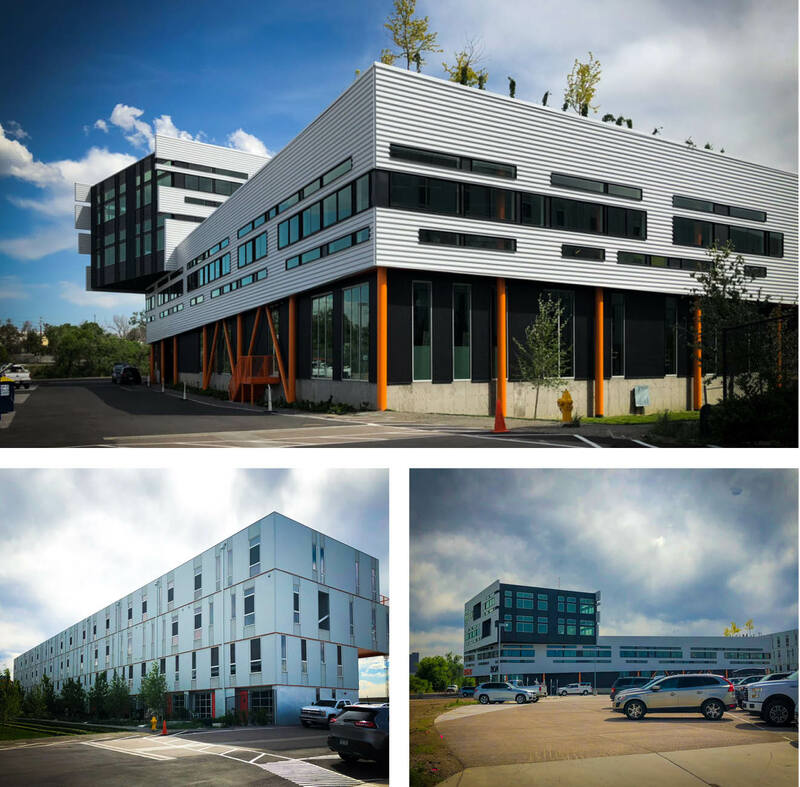 Also located in RiNo, this four-story office space just opened in March at Wazee and 35th. It features a ground-floor, 20,000 square-foot food hall where patrons enjoy chef-driven street food, Vietnamese coffee and baked goods, fresh poke bowls, and authentic Italian gelato, among other options. Because the building is adjacent to train tracks, it was designed to block out loud noises. And its aesthetic is reminiscent of a boxcar. The silver and white exterior has a corrugated look, and the red accents make the four-story building pop. Inside, you’ll find high ceilings and views of downtown and the mountains. 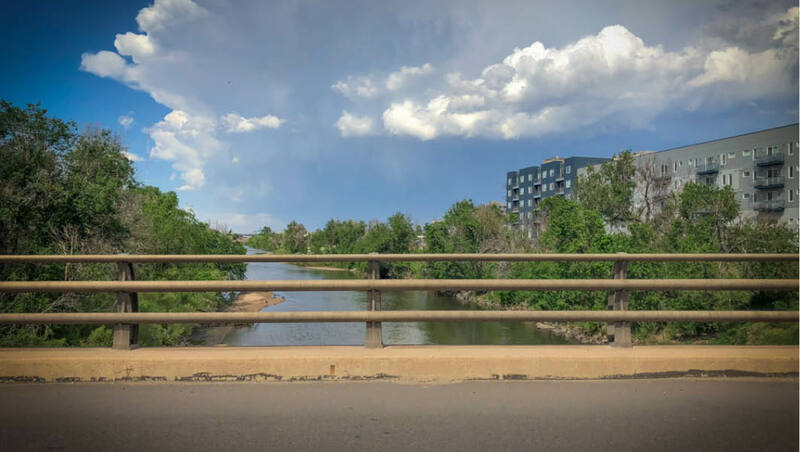 In collaboration with local nonprofit Bridges to Prosperity, which has built 270 bridges in underserved rural areas worldwide, Zeppelin Development is working to build a $3 million cable suspension bridge that would take pedestrians and cyclists over the South Platte River to connect the majority-Latino Globeville to Brighton Boulevard. The idea is to speed up a project that would take much longer to complete if the city had to pay for it. The bridge will help connect the Taxi campus to the rest of RiNo. Affordable Housing in North Denver? 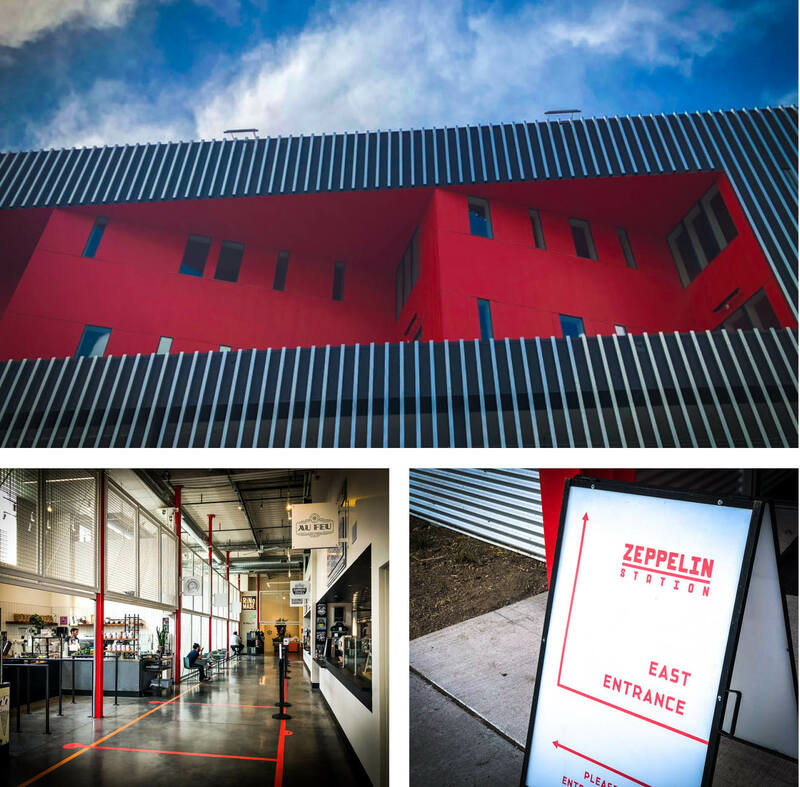 Zeppelin Development is known for trying to avoid the gentrification that often arises from urban redevelopment and carefully considering how new projects will impact existing communities. To that end, affordable housing that allows existing residents to stay in their own neighborhoods despite rising property values has now become one of the company’s key focuses. If the city will work with Zeppelin, the company may be able to create affordable housing in North Denver near the National Western complex and in other areas that are zoned commercial but could potentially be rezoned for housing. Zeppelin has identified 70 acres as potential affordable housing sites for thousands of homes that could help alleviate the city’s housing shortage. Can I Buy a House Before Selling Mine?